When it comes to purchasing a residential investment property, it’s often a very different approach than the one taken with a main residence. For example, whilst there may be some emotional and personal value attached to a residential investment property, largely, they are an asset purchased to help achieve an investment objective, and their acquisition is based on financial benefit. Consequently, when considering the purchase of a residential investment property, the rate of return becomes important, both income-generation and capital growth potential. In terms of income-generation, one of the major components of this is a residential investment property’s capacity to attract and retain tenants over a specified investment time horizon. Put simply, periods of vacancy can affect income-generation and subsequently place a strain on an investor’s cashflow, especially if it’s a geared investment or has been established as an important source of income for a wealth accumulator or retiree. As such, there are many variables to consider in terms of whether a potential residential investment property has the capacity to attract and retain tenants over the short, medium and long-term. For example, location, building features (and signs of obsolescence) and rent price. These variables are what can drive supply and demand (one of the fundamentals of economics) in the rental property market. We explore location, building features and rent price in more detail below, with the aim of helping you to understand that purchasing a residential investment property requires more than just an analysis of things like borrowing power and buying costs. It also involves an in-depth analysis of the rental property market. The strength of the regional economy, employment and wage growth, as well as changes in the employment base. These things can influence migration, household formation and affordability. The impact of this can be seen through, for example, albeit on the extreme end of the scale, the influence the mining boom had on the Pilbara mining town of Karratha (Western Australia). At its peak in 2012, median rent prices per week were $1,600 (houses) and $1,100 (apartments); however, in 2017, median rent prices per week were considerably lower at $510 (houses) and $270 (apartments). Demographic changes such as age, average income and family composition. These things can influence the popularity of different sizes and types of housing. For example, although simplistic in nature, if a certain city/region has a high percentage of renters that are singles or couples without children, there may be less demand for a residential investment property that caters to those with families. The quality, proximity and ease of access to facilities (e.g. schools, day care, shopping centres, public transport, parks, hospitals, etc.) and major employers. Sufficient distance from unpleasant land uses (e.g. garbage disposal facilities, parking lots, warehouse, cemeteries, etc.). Other factors, such as noise levels, crime rates, pleasant views, traffic conditions, adequacy of street-lighting and signs, conditions of sidewalks and streets, etc. The abovementioned considerations are largely out of your control in terms of their capacity to change; however, it’s still important to keep them in mind when purchasing a residential investment property, as they are things that can affect the attraction and retention of tenants. After an assessment of location (discussed above) and rent price affordability (discussed below), tenants often choose a specific property that most closely meets their needs for space, configuration and features. Consequently, a residential investment property not only needs to cater to current users, but also have the capacity to be adaptable to the changing requirements of future users. This last point is especially pertinent if the residential investment property is held as a long-term investment. If consideration is not given towards this then there may be the potential risk of vacancy occurring initially or over time. Although, there is an exception to this in some circumstances. For example, when there is a shortage of supply in the property market, tenants may overlook certain deficiencies in relation to their needs around space, configuration and features; however, retention of these same tenants may be hard when supply in the rental property market increases, leading to vacancies after leases expire. Number and size of rooms, age, durability, facilities and fittings. Lack of a second bathroom, games room, home theatre, formal dining or living room. Unsecured parking or secured parking for only one car (as opposed to two). Lack of an ensuite in the main bedroom. Lack of air conditioning or reverse cycle. Lack of a lift in a block of flats. Please note: Considerations towards building features can vary. A prime example of this can be seen through the impact that land availability can have on space, configuration and features, namely, differences between high-density and low-density living areas. For example, a tenant in a high-density living area may be less inclined to consider a property without secured parking for two cars as a sign of obsolescence, whereas a tenant in a low-density living area may. 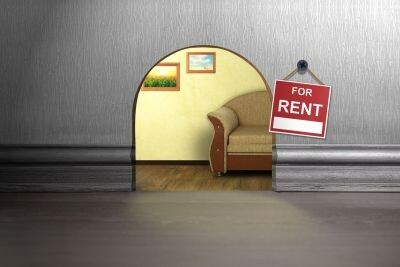 Lastly, we talk about rent price, another important consideration in terms of the attraction and retention of tenants to a residential investment property. By setting the rent price above market value, you may find that you not only reduce the pool of prospective tenants, but also run the risk of tenants filtering it out when comparing it to other properties of a similar rent price range. Both of these may lead to the potential risk of vacancy. By setting the rent price below market value, you may find that you can increase the pool of prospective tenants and lead to greater retention; however, it decreases the amount of cashflow you could reasonably expect to generate in the given rental property market at that time. It’s important to note that this is not a comprehensive look at all the variables that can impact the attraction and retention of tenants (e.g. tenancy agreements and initial/ongoing property management services). Nor does it cover other things that can affect income-generation (e.g. interest rate movements and gearing, council rates, insurances, depreciation, property management fees etc.). Furthermore, income-generation is only one side of the equation when it comes to the rate of return of a residential investment property; another key consideration is capital growth potential – especially if negative gearing is involved. Despite the above, it does serve to highlight that the property market is a complex place. As such, if you are seeking to purchase a residential property investment to help achieve an investment objective, it’s important to seek professional advice so that all considerations are appropriately addressed.